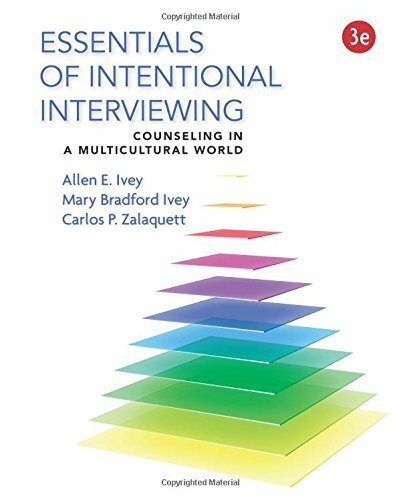 130508733X -An excellent guide to interviewing in the helping professions, ESSENTIALS OF INTENTIONAL INTERVIEWING, 3rd Edition, presents the authors’ renowned microskills model, which revolutionized modern understanding of the counseling and therapy process by teaching vital interviewing skills step-by-step. This demystifying process breaks down counseling into manageable micro units and builds a bridge between theoretical understanding, mastery of the skills, and the practice of counseling. The book’s multicultural focus reflects the diverse nature of today’s classroom-and society. New to this edition are a chapter on crisis counseling, basic information on neuroscience as it relates to interviewing, new video content, and brief summaries of key theories of helping (with additional information and transcripts available online). In addition, MindTap™-an online learning platform with a full array of text-specific study tools-is available with the new edition.